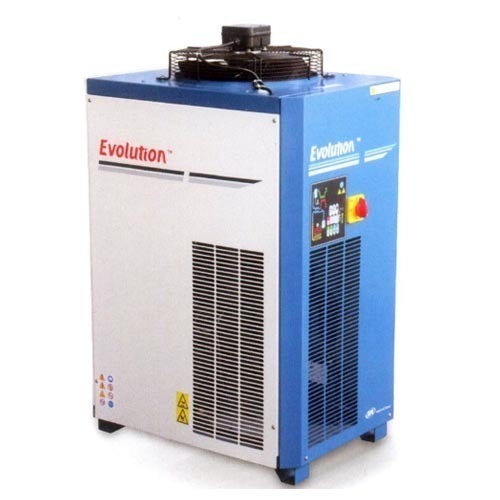 We are remarkable entity in this domain, engaged in trading and supplying a wide array of Evolution Refrigeration Air Dryer. Mainly used for removing water vapor from compressed air. We “Paras Engineers And Services” incorporated as a Sole Proprietorship company at Noida (Uttar Pradesh, India) are the reputed Trader and Supplier of a premium quality range of Air Compressor, Oil Removal Filter, Compressor Spare Parts, Rotary Screw Air Compressor, Vaccum Pump, etc. We deal in the following reputed brands IR, Atlas Copco, ELGI, Kaeser Compressors and Chicago Pneumatic. Apart from this, we also provide Air Compressor Repairing Service, Air Compressor Maintenance Service and Air Dryer Repair service according to the need of the client.